For most of Papua New Guinea the water supply is adequate. Some parts of the country get over 400 inches of rain a year. It is easy to take for granted such a precious commodity. But when several weeks go by without rain, it gets people’s attention and they cry out for help. 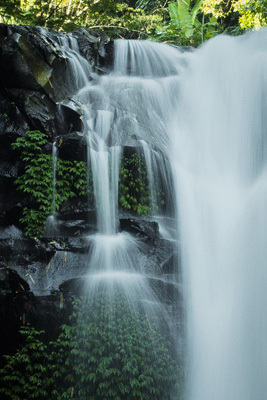 In PNG, the Word of God is like the water supply. Some areas are blessed with translated Scriptures and they are well-used. Other areas take the Scriptures they have for granted and they are neglected. But there are some areas that have no Scriptures at all and they are asking for help. Pray that all of PNG would soon have and use all of the Scriptures. Sometimes the hardest thing to do… is to do nothing.. that is to be still. Be still enough to hear from the One that is capable of knowing what to do in all circumstances and situations. Pray for those that are making decisions relating to the priorities, processes and projects for the Bible translation and language development effort in Papua New Guinea today. 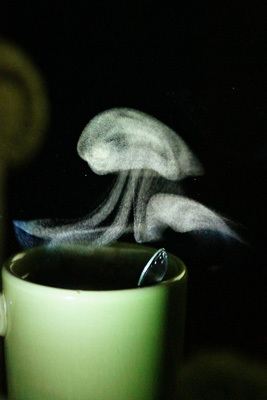 Ahhh… a cup of coffee in the morning is a great way to start the day. Have you ever thought about the origins of that coffee? Papua New Guinea offers some of the finest coffee in the world. Besides being a major export, that coffee also plays a role in developing language projects throughout PNG. So what does coffee have to do with language development and Bible translation? 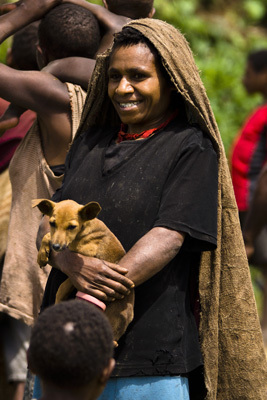 There are many villages throughout Papua New Guinea that have no access to highways. The only alternative means to transport their crops to the nation’s seaports for export to the rest of the world is by air. The small planes that fly language developers and translators to remote villages also carry coffee to towns located on the highways. Language development staff recently flew to Boikoa village in the Eastern Highlands Province. While the guests chatted with local people, grateful farmers helped the pilot load bags of coffee into the plane for the return trip. Each time coffee is delivered, it helps subsidise the work of language development and Bible translation throughout PNG. 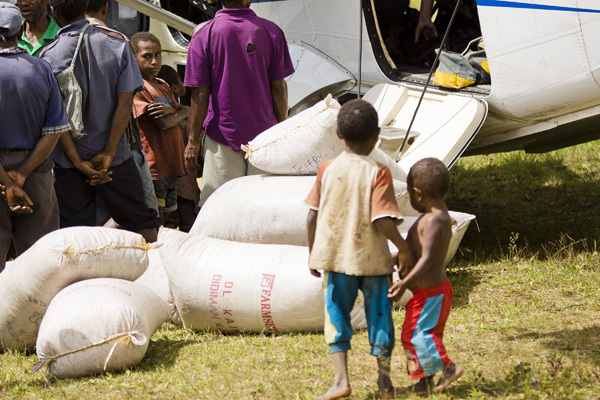 Some days, the pilots can make eight or nine flights to remote airstrips where appreciative villagers are eager to transport their crop to market. When the visitors departed Boikoa, the pilot accelerated the plane across the grass airstrip, mastering a downhill take off on a strip that has a 15 degree shift to the right. The plane ascended with its full load while satisfied villagers waved goodbye. 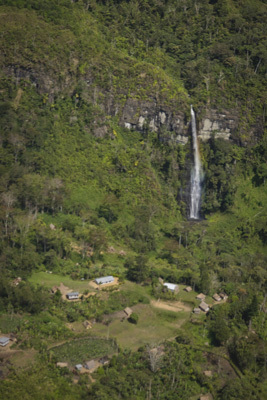 As the aircraft soared past a magnificent waterfall and proceeded through the Marawaka Gap, the appreciative group on the ground knew their valuable crop was safely on its way to market. Their year of labour was reaping its reward. The income from the coffee would meet the needs of their families and also help keep the airplane flying and transporting language workers to distant areas of PNG. The next time you sip a cup of coffee, savour not only the flavour, but also the satisfaction of knowing it may have been an important part of the language development and Bible translation process in a distant part of the world. This place gives a new definition to running water. Imagine the shower pressure there! I’ve got a river of life flowing out of me! I’ve got a river of life flowing out from me. 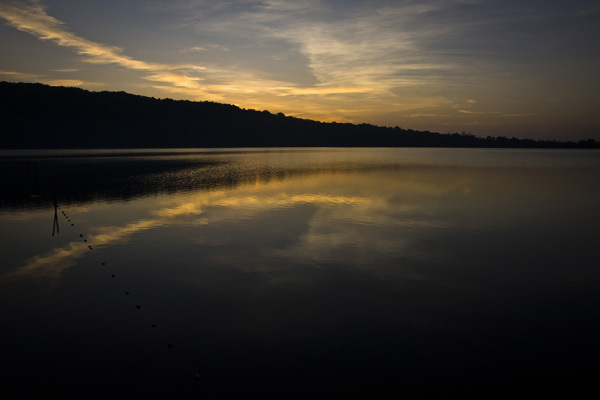 Pray that all Papua New Guineans would have access to the “river” through His word in their heart language. A child’s smile is contagious. Admit it, you are smiling as you look at this picture. True joy comes when Papua New Guineans read the word of God in their heart language. 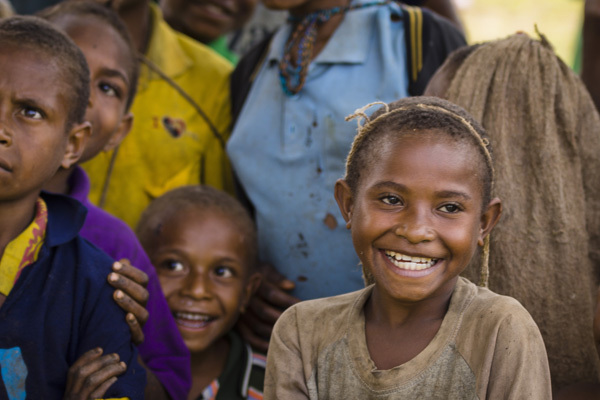 As one Papua New Guinean said, “God has come to our village now.” Pray for joy for everyone involved in the language development and Bible translation process… the expatriate and national language workers, all those that support the process and most of all, for the people who get to read the Scriptures for the first time. Can you find the two types of “bark” in this picture? Finding the one is a little easier than finding the other. Of course! The dog has a bark… but the lady has a “bark” as well. These multipurpose head coverings act as ground cover, blankets, towels and even sunshade for the people in this remote area of the Eastern Highlands Province. They are made of compressed tree bark. Innovation has always been with us. Using the materials and resources that God has given us is a form of worship. We worship Him by showing our respect for His creation and by being good stewards of His resources. Pray that as the different organisations strive to meet the linguistic needs of the people of Papua New Guinea, that they would learn new and creative ways to get the job done. 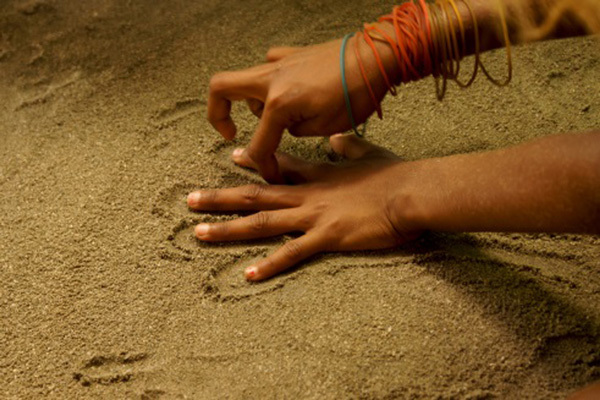 When a person is learning a new language, one of the first things they learn is how to count. Early in their translation program, Ed and Catherine McGuckin learned the basic Gapapaiwa numbers. Would you like to decipher the next numbers? How would the Gapapaiwa say “6”? (Hint: It’s literally “one hand finished and one”.) Answer: miikovi ma sago. Now for more complicated numbers. Can you figure out . . .
• “9”? Answer: miikovi ma ruwa ma ruwa. • “10”? It’s easy. Answer: ima ruwa (literally “two hands”). • “15”? This is more complicated: Answer: ima ruwa ikovi ma kaena sago (“hand two finished and foot one”). • “18”? Answer: ima ruwa ikovi ma kaena sago ma aroba. • Fortunately, 20, like 10, is fairly simple. Answer: tomowa sago (“one man”). • To continue counting, keep adding the “smaller” numbers to multiples of twenty. But let’s stop here! One elderly man objected to the inclusion of foreign numbers. Happy for input from this senior villager, the McGuckins asked how he would communicate it in Gapapaiwa. He began saying 5,000 in the traditional way, but quickly got bogged down in the lengthy number and gave up. The translation team left it as “5 tausan”. Sometimes translation is like unlocking a riddle. But it is a joy when the riddle is solved, the people agree on the best way to express a word or a concept, and translation moves forward!